Accelerate through visibility, collaboration and control. functional experts and business users to run manual and automated testing - faster and more effectively. We have the best tool that fits your needs. Q-Assurance provides testing tools that can fit the need of any application or environment that requires manual testing - from application testing to integrated testing. In its most basic form, the test plan will capture vital information pertaining to the initiative at hand: the test lead, test manager, project manager, detailed description of the testing effort and other key attributes. The creation of a test case allows for assigning ownership, the ordering of test cases and appointing a criticality level. There is a one-to-one relationship between a test case and a test script. The execution of a test script is very straight forward. One chooses the project plan and the test cases load dynamically. Build agile into every part of your business for stronger teams, better results and greater innovation. CA Agile Central shows you how strategy ties to execution and delivery--so you can make faster, smarter decisions. Use this agile software to align strategy and daily work, track and manage delivery in a predictable cadence and leverage key data to quickly and accurately measure performance. With Project and Portfolio Hierarchy, you can have deep visibility into the work that your teams are doing and how it ties to your business strategy and customer value. Your people can be aligned with each other, their work and with strategic objectives. The result? You can build the right products, in the right way at exactly the right time. Web based Test Management tool. 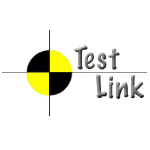 TestLink is a web based Test Management tool. The application provides Test specification, Test plans and execution, Reporting, Requirements specification and collaborate with well-known bug trackers. The purpose of TestLink is to answer questions such as: - For which requirements do we still need to write or update test cases? - Which tests do you want me to run for this version? - How much progress have we made on testing this release? - Which test cases are currently failing, and what are the errors? - On which version was this group of test cases last run, and is it time we ran them again? - And ultimately: is this version of the product fit for release? 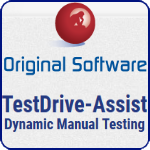 TestDrive-Assist delivers active support for manual testing. The solution is based on three design premises - low impact, a minimal learning curve, and delivery of major benefits. As a code-free solution, TestDrive-Assist allows analysts and QA testers during the manual testing process. 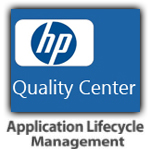 Fully integrated with Qualify, this Application Quality Management (AQM) solution, the suite provides a streamlined approach to performing and managing manual testing. Squash TM is the test repository manager found in the open source Squash toolkit. 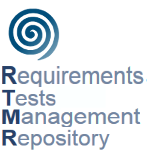 Squash TM is an open source tool for test repositories management. Natively "multi" and "cross" projects, it can manage all testing stages, from requirements management to campaigns execution. Based on an ergonomic and intuitive interface, Squash is also "full web" making it an easy tool to deploy. It enables the management of requirements, test cases and campaigns execution in a multiproject context. The Squash team has just released the first version of a Rest API. The plugin is compatible with Squash TM 1.16. It allows to read the different objects of Squash, create test cases and update the executions. Xray for JIRA is a complete Test Management tool for JIRA. It is a full featured add-on for JIRA that does not require any other software in order to run. Xray supports the complete testing life cycle: test planning, test designing, test execution and test reporting. We do this by using special JIRA issue types, so you can use all JIRA benefits that you are used to. Our aim is to help our clients improve the quality of their systems and that's why since our first version, Xray supports both manual and automated tests, including full support for Cucumber tests using natural language (i.e. English). Feel free to contact us and we will be glad to help you implement effective test management, or just answer your questions or even make a demo. Integrated IT quality management software that helps you to standardize testing, engineer for performance, and fix defects to optimize quality, reduce costs, and deliver applications fast with confidence. Enterprise Tester is our quality and test management platform, preferred by some the world's most recognized organizations. Complete coverage and traceability, powerful reporting for management, simplified functions and re-use operations for testers. Built for integration with Atlassian to give a full line of sight between DevOps, quality teams, and customer results. Testlab provides a complete browser-based quality management suite for application lifecycle management: designing the application, service or a product, for verifying that the end result meets the needs by testing and tracking and reporting issues and progress of your testing. As a product, Testlab is process agnostic and adapts to the way of working let it be based on agile, V-model or some other development process. With a step oriented paradigm, file attachments and change history designing and keeping test cases up to date is easy. QMetry is the most comprehensive Digital Quality Platform designed for agile testing and DevOps teams to build, manage, and deploy quality software faster with confidence. To drive digital transformation, enterprises need quality software at a reliable speed. QMetry provides the agile testing solution with complete test management, test automation, powerful quality metrics, and analytics. It has more than 20 integrations such as JIRA, Selenium, Appium, Bamboo, Jenkins, HP ALM, Rally, etc. With QMetry; Test Management, Automation, and Predictive Analytics are covered within a single platform. The tool is widely used across enterprises in BFSI, Hardware, Technology, Healthcare, Education and other industry verticals. TestBench is a test data management and verification solution that addresses the validation of all database effects and the creation of cut down, representative test data to reduce test times and data footprints. Data confidentiality is addressed and the unique user-managed data roll-back capability reduces environment downtime, improving testing productivity and accuracy. TestBench integrates with other testing solutions from Original Software accessible to both users and testers to ensure you retain 'total application quality'. Kanoah Tests is unique on test case management, but also offers an unprecedented level of the integration with JIRA. 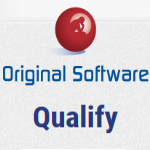 It allows the QA team to work closely with developers and product managers. It allows to: create and organize test cases, write test scripts, create and organize test plans, create and customize test runs, runs test plans and test cases, track progress, link test cases to issues and customize configuration. Kanoah's solution is not just unique in what it offers, but also on the integration level it has with the Atlassian/Jira platform, allowing the QA team to work closely and collaboratively with developers and product managers. Powerful automated testing. Flexible management and collaboration. Tellurium is a complete cloud-based solution for collaborative testing and test management. No matter the testing methodology, Tellurium allows to create, modify, execute, and generate reports from anywhere on any device with a web browser. With unlimited run minutes, one can schedule tests (or even multiple tests) to run as often as required. As Tellurium offers "Plain English" automated scripting language, tests are easy to read yet as powerful as traditionally-coded tests. A flexible SaaS solution, Tellurium is available as soon as you sign up - no installation required. Quality Spy makes your software testing efficient. Quality Spy is a fully featured test management solution that provides a solid software testing process. It's easy to start with and allows to master the most complex testing projects. Test Analytics allows you to efficiently construct an ACC model for your project. 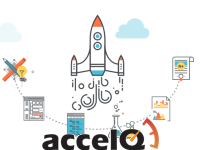 Test Analytics is a web application that allows rapid generation of a project's ACC model -- an alternative to a test plan that is faster to create and of more practical value. This decomposition of the product allows an easy way to visualize project risk across project capabilities. In addition, Test Analytics supports importing quality signals -- tests, code changes, and bugs -- to quantify risk and map it to your project's model. This gives a bird's eye view of the risk associated with all areas of your project, and a way to assess what portions of your project need additional testing. Speed Test is a multi user test case management application designed for software testers. It is similar to TestLink, another open source app, but written for the desktop with reports provided via a Silverlight web app. Speed Test is finally in Beta. Please post any issues with either the installation or the applications on the Issue Tracker page. The AppPerfect Test Manager is a test management system, designed for users implementing various AppPerfect Web application testing and Java development products. It has a central server with a Web-based UI for accessing various modules in the server. It consists of following main modules: Projects Manager, Requirements Manager, Test Manager, Results Manager, Bugs Manager. The AppPerfect Test Manager provides a central data store where test requirement, project/test execution result, bug gets stored. It integrates tasks such as requirement specification, test planning, test execution, result analysis and bug tracking into one application. Integrates with AppPerfect tools (Load Test, Web Test, App Test, Java Code Test and Java Unit Test). DevSuite is an ALM platform specifically designed to manage hybrid agile projects as well as pure agile and traditional development projects. 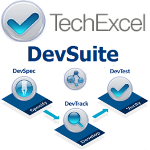 TechExcel DevSuite provides an integrated platform for requirements management, project planning, issue and task tracking, and quality management. The cost-saving solution to plan, perform and evaluate test cases, test plans and test templates. 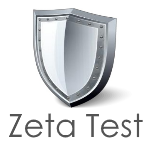 Zeta Test Management is a professional, integrated test management environment for Windows and Web that enables you to perform black-box tests, white-box tests, regression tests or change management tests of software applications. It helps to plan, perform, log, monitor and document the tests, and then to evaluate the test results. Create and manage your test cases and test plans with Zeta Test. Zeta Tests helps you to manually create test cases and then perform and document those test cases manually. If you use Zeta Test Management, you will be able to test all the elements of a test project, e.g. the quality of the documentation, the setup process and the behaviour of your software application on different platforms. TestLodge is a relatively new hosted tool that is designed to be a lot simpler than traditional software by only providing the essentials to get the job done well. The system focuses on helping you create your test plans, input your requirements, create and manage your test suites and cases along with allowing you to easily perform multiple test runs and generate reports. IBM(r) Rational Quality Manager(tm), built on the Jazz platform, is a collaborative, web-based, quality management solution that offers comprehensive test planning and test asset management from requirements to defects. New with RQM 6.0, create versions of test artifacts for strategic reuse. RQM is a web-based centralized test management environment for test planning, workflow control, tracking and metrics reporting capable of quantifying how project decisions and deliverables impact and align with business objectives. 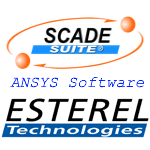 SCADE Suite(r) is a model-based development environment dedicated to critical embedded software. With a native integration of the Scade language and its formal notation, SCADE Suite is the integrated design environment for critical applications spanning model-based design, simulation, verification, qualifiable/certified code generation, and interoperability with other development tools and platforms, including requirements traceability. The solution includes a version management system for project, for requirement, for scenario and test cases that keeps track of software changes and can easily cover all regression tests. A visual blueprint of your application which becomes the center of universe, driving entire Quality Lifecycle. App Universe enables Test Design automation thru path analysis; drives prioritizing and tracking quality assurance based on business drivers. The entire Quality Lifecycle is integrated in a seamless process, breaking the test phase silos. Develop test scenarios based on predictive analytics and path analysis; seamlessly keep up-to-date with the business process. Intelligently determine unique test data permutations for a comprehensive coverage of business process scenarios. Zephyr for JIRA ( Server and Center versions) is a native application that exists in JIRA and brings test management capabilities to any JIRA project. When Zephyr is used with JIRA, the test can be easily manageable. With Zephyr test can create and viewed in any JIRA project, executed immediately or as part of a test cycle linked to other issues, and detailed test metrics can be tracked via customized gadgets. Test Collab is a modern test management tool that offers a complete platform for your application's testing. 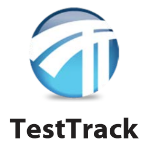 It integrates with all popular bug trackers and test automation tools. It also supports agile methodology, requirements management, test plans and scheduling. With Test Collab one can create projects, manage project's requirements, set milestones, define test suites, test cases, create test plans, assign test executions, get them running, and analyze the results. Test Collab also supports two way integration with issue tracking systems like JIRA and Redmine. It can also be integrated with any test automation tool. Test Management Platform Flexible. Streamlined. Efficient. Reliable. Fast. Cost-effective. QACoverage is a new generation test management solution with innovative vision and workflow to manage Software Test Life Cycles more effectively and efficiently. It boosts test productivity and provides visibility to better handle and control your established QA process via comprehensive Requirements Management, Test Design, Test Execution, Defects Management, and Metrics & Reporting modules. QACoverage is not only a Test Management Solution but a collaborative platform that integrates the entire IT Department throughout the Software Development Life Cycle from requirements inception to application production readiness in order to achieve superior quality. TETware is a universal management and reporting framework for automated testing.